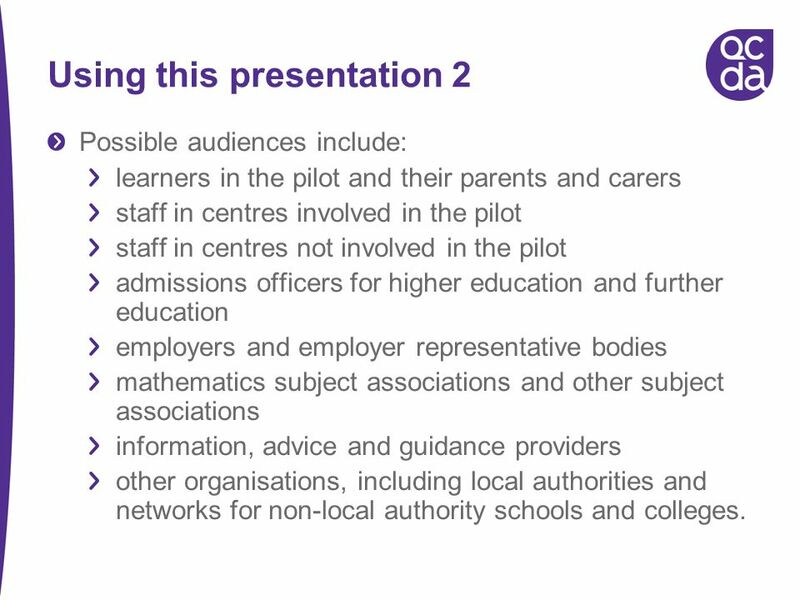 3 Using this presentation 2 Possible audiences include: learners in the pilot and their parents and carers staff in centres involved in the pilot staff in centres not involved in the pilot admissions officers for higher education and further education employers and employer representative bodies mathematics subject associations and other subject associations information, advice and guidance providers other organisations, including local authorities and networks for non-local authority schools and colleges. 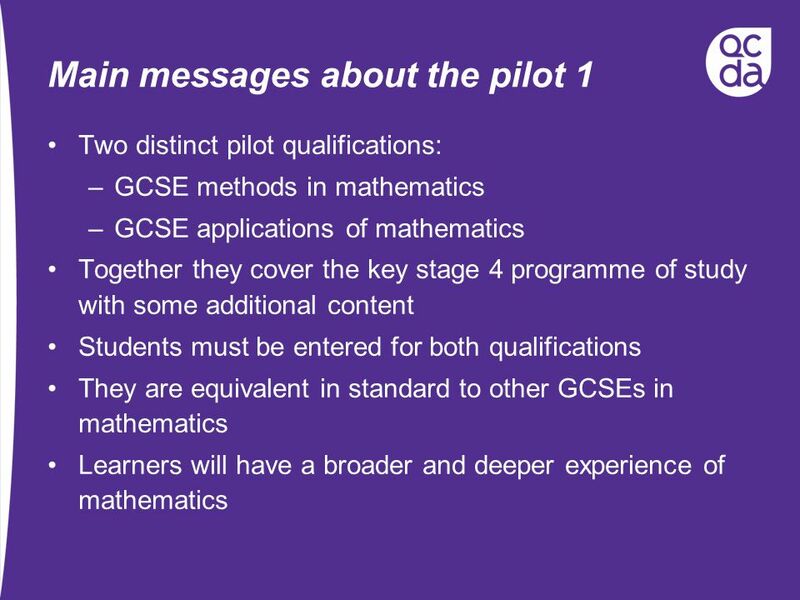 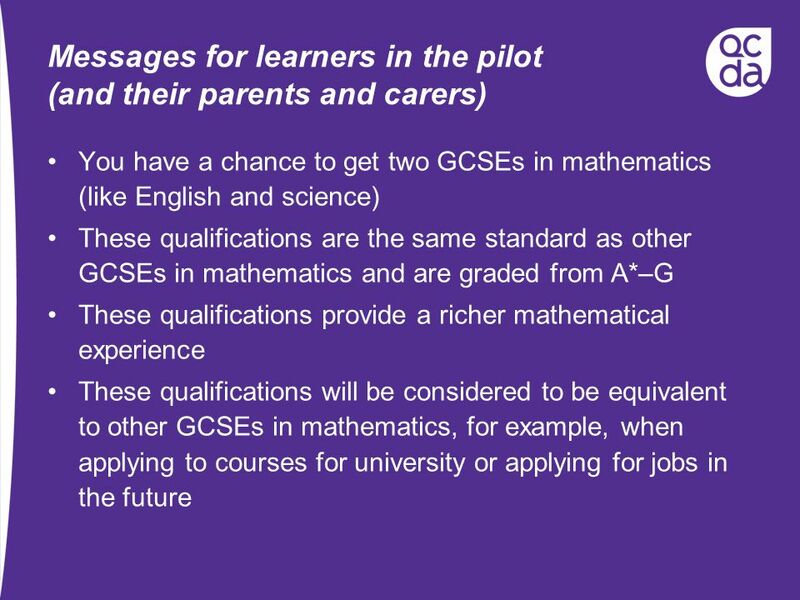 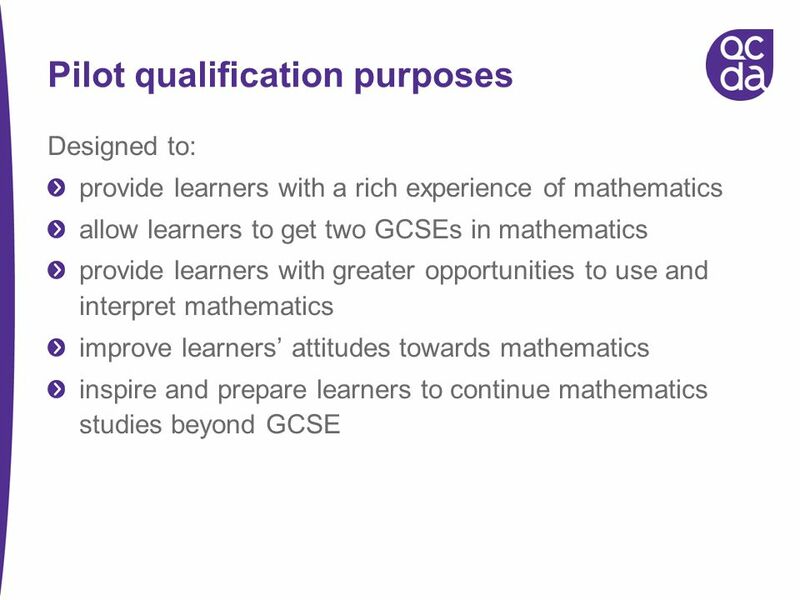 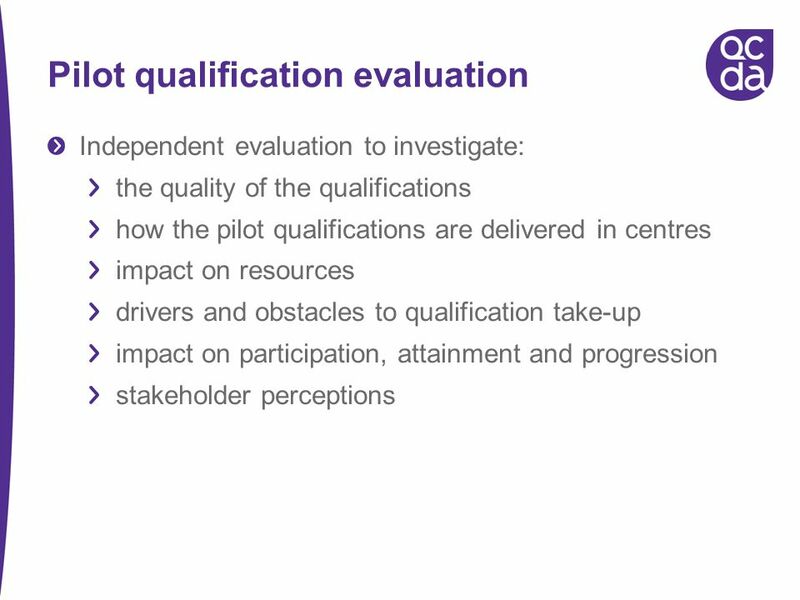 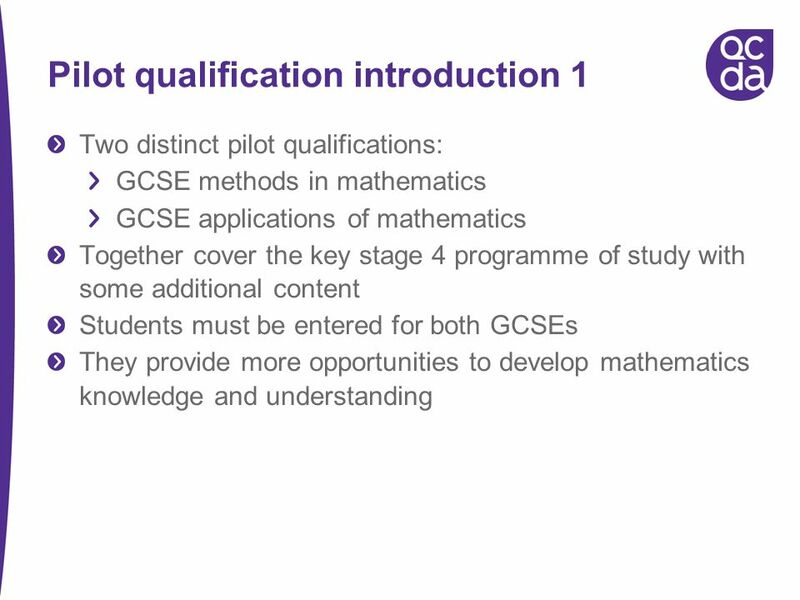 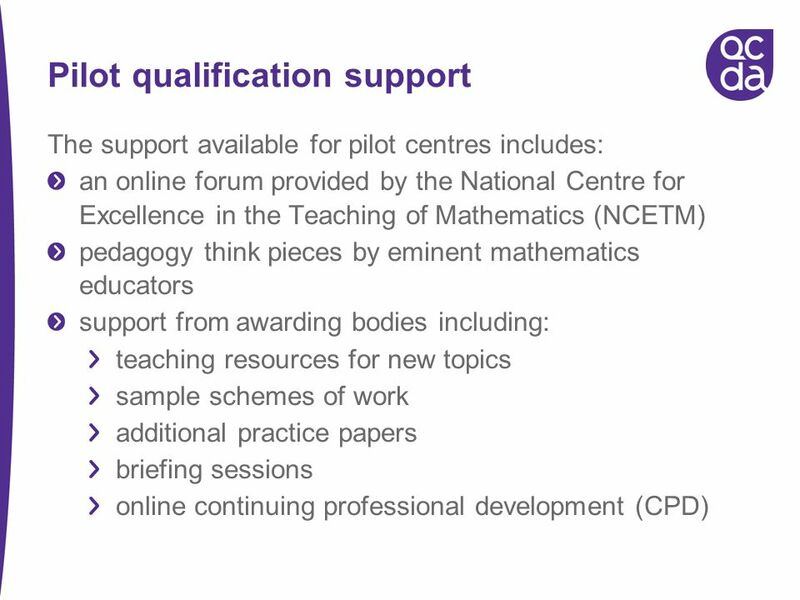 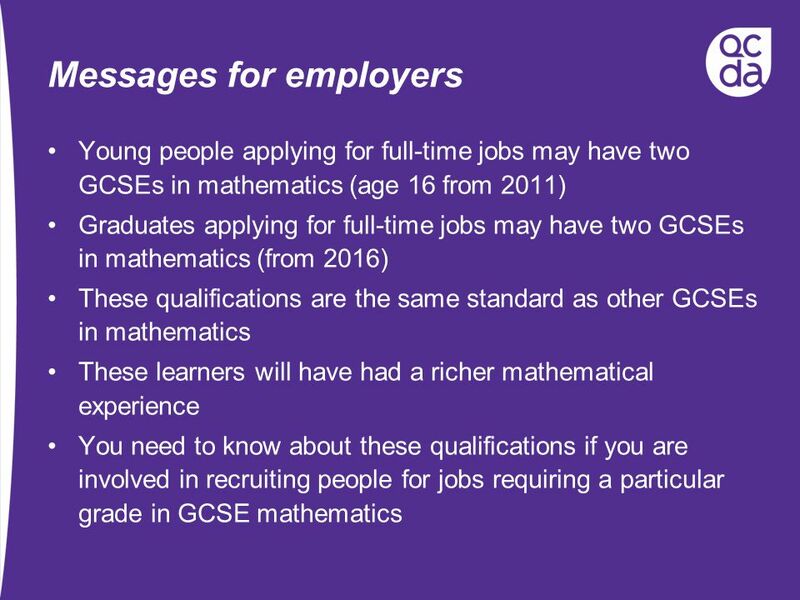 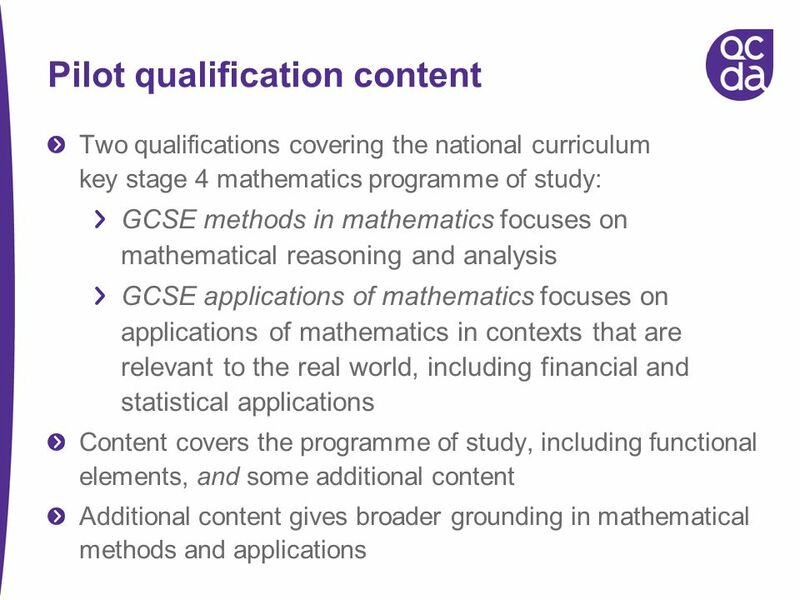 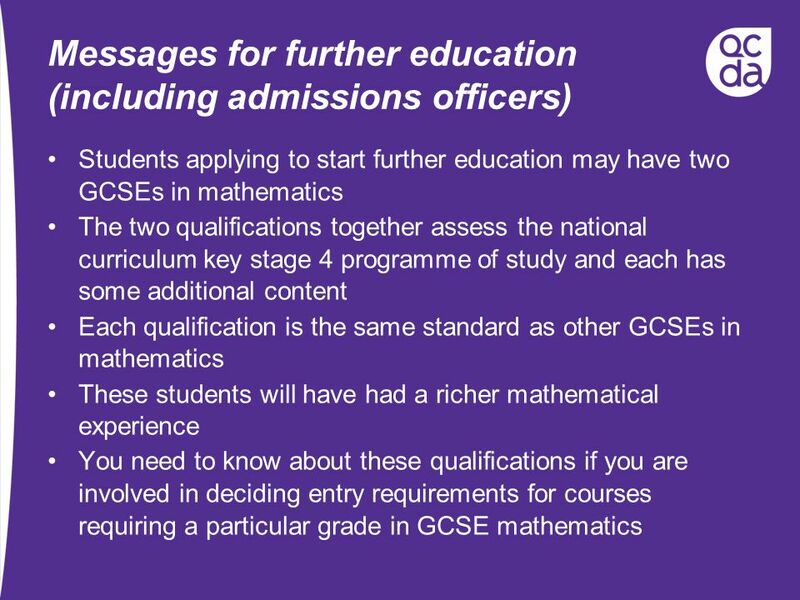 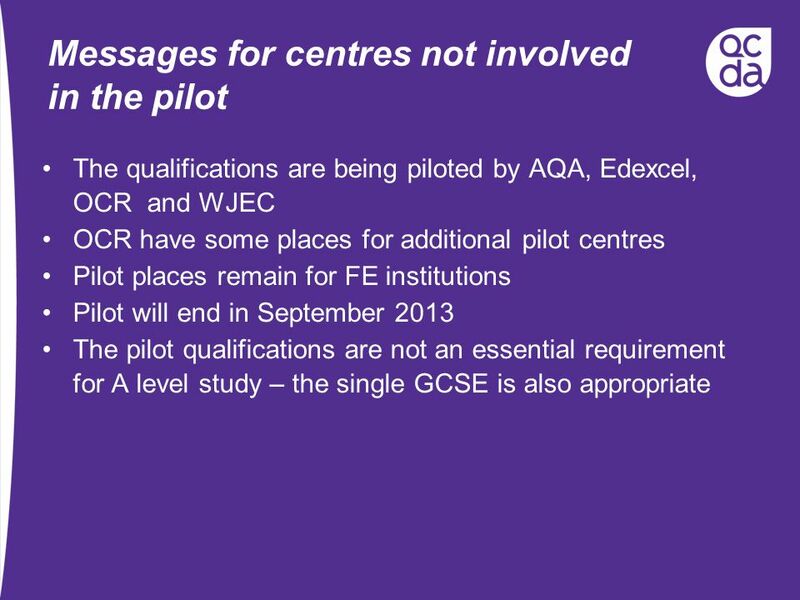 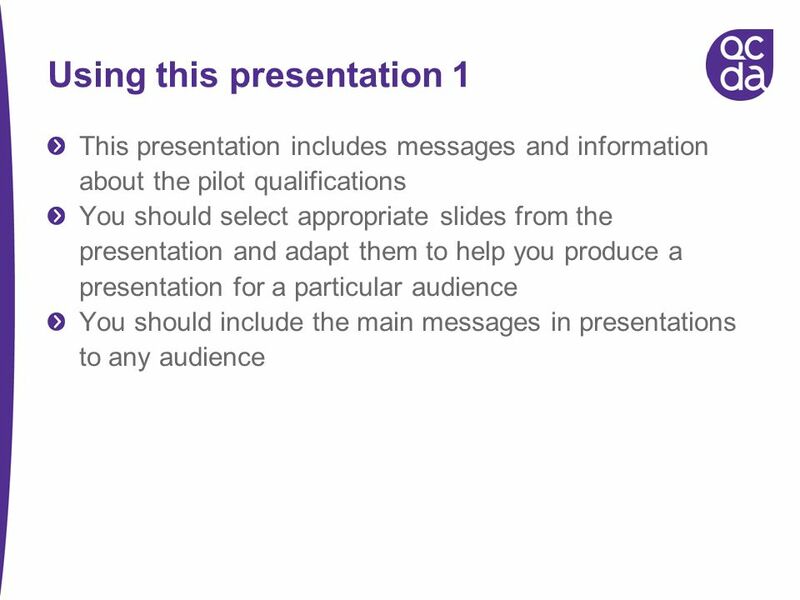 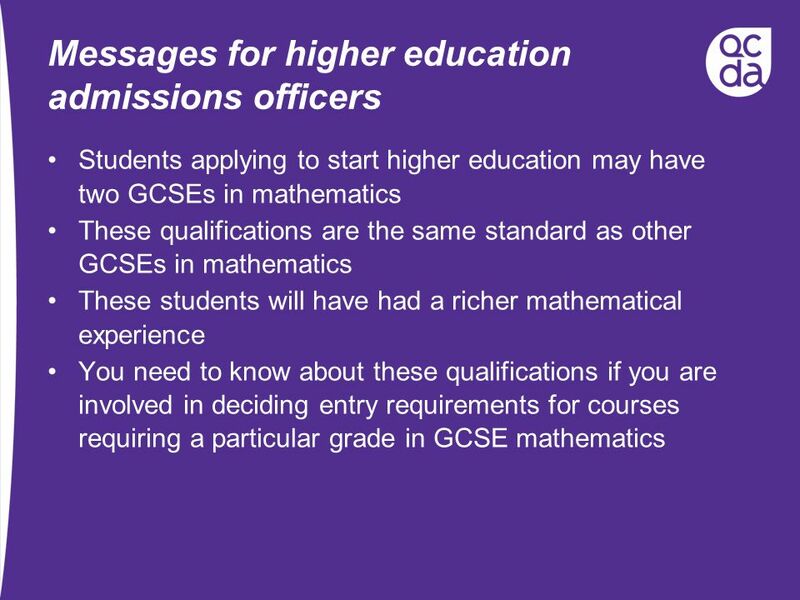 Download ppt "GCSE mathematics linked pair pilot qualifications presentation November 2010." 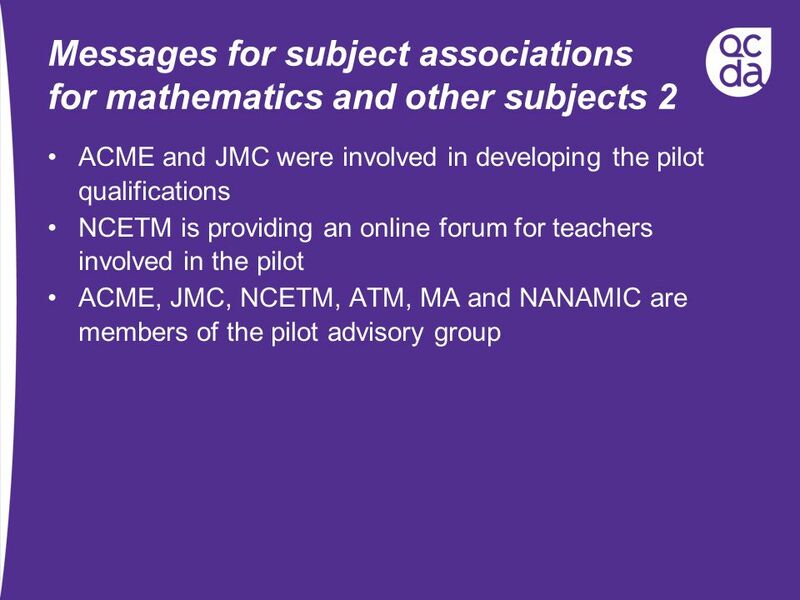 The Foundation Learning Tier Strategy Managers and Curriculum Managers group 24 th March 2009. 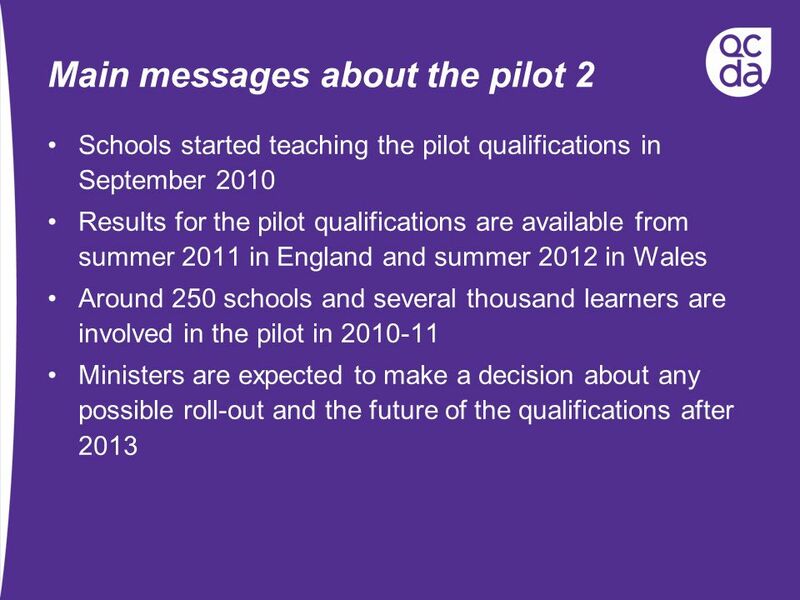 Championing Young Peoples Learning Foundation Learning Regional Briefing David Sangster Policy Manager (FL) Championing Young Peoples Learning. 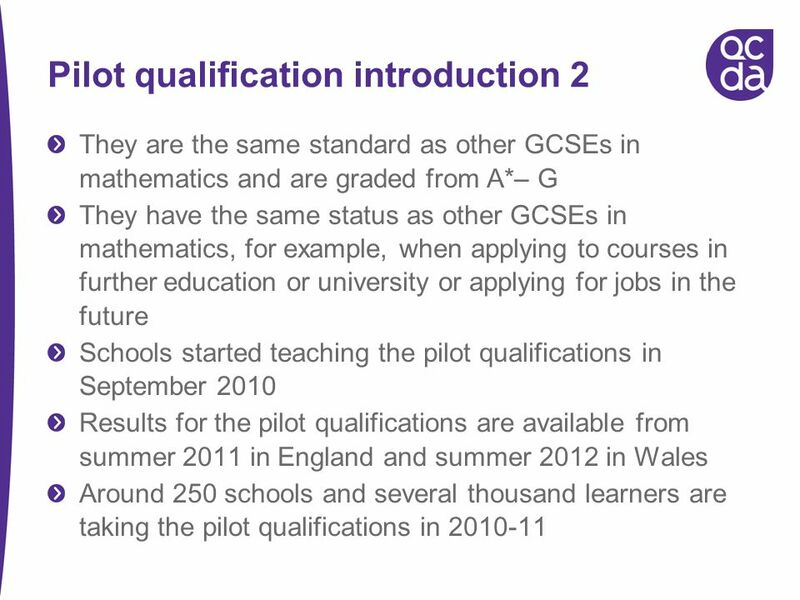 November 2009 Qualifications and Curriculum Development Agency is the non-regulatory part of the Qualifications and Curriculum Authority. 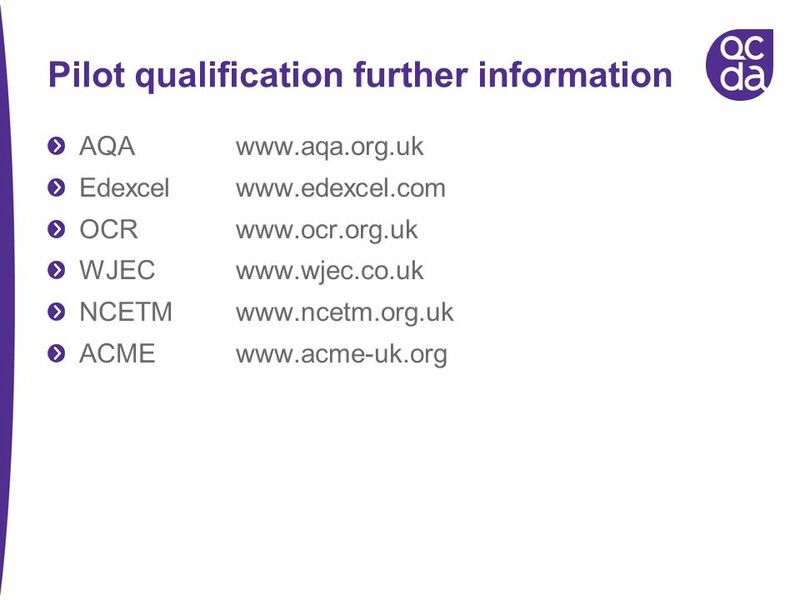 © QCA 2009 Functional. 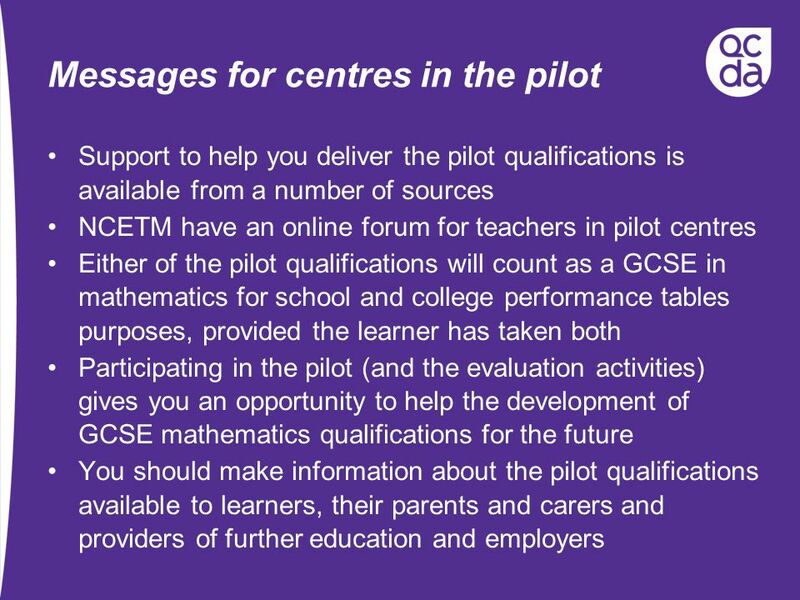 Skills for Life Support Programme T: F: E: W: The Skills for Life. 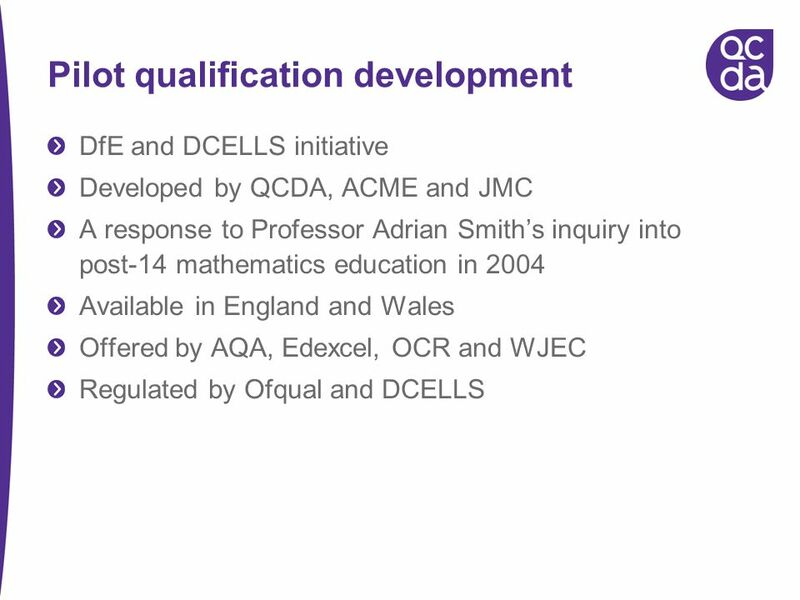 Functional Skills Training Day 1 11 th September 2007. 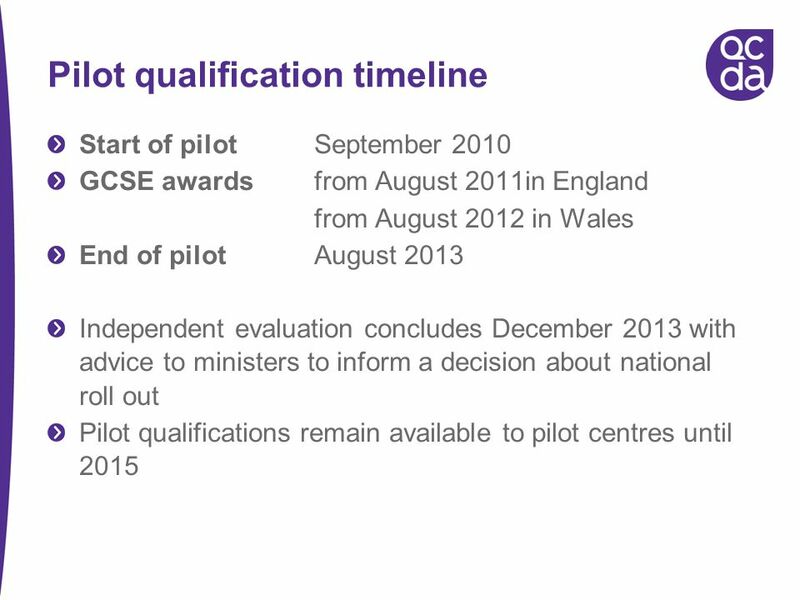 Functional Skills National Strategies Update Monday 20 April 2009. 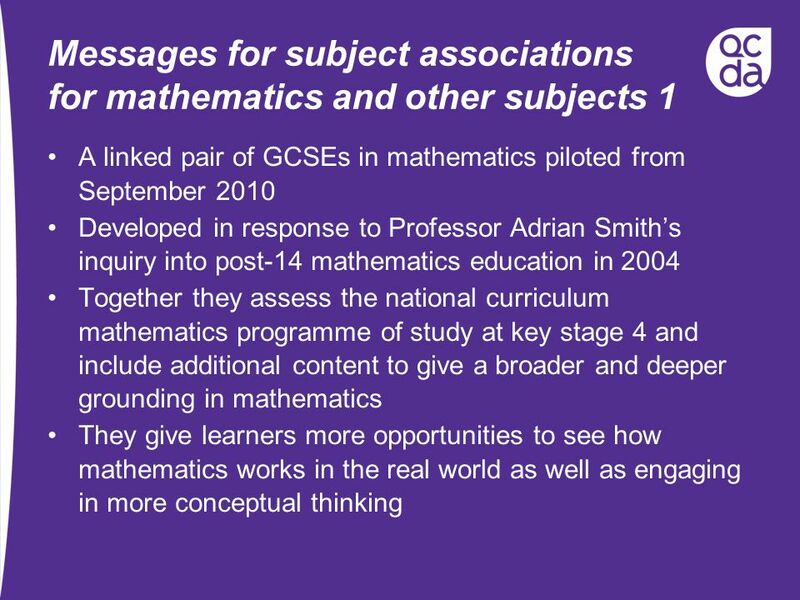 Functional Mathematics Linda Horne 21 st June 2007. 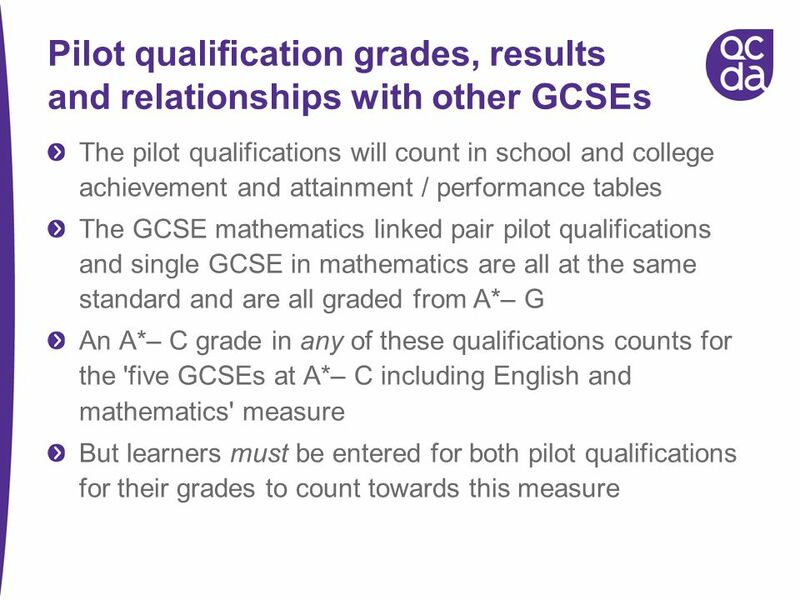 Curriculum, Assessment and Qualifications Reform: Implementation Hardip Begol Director, Assessment, Curriculum and General Qualifications BESA AGM, 6 November.